I took the kids the other day to a local hands on zoo. While we were walking around I happened to ask Jay the question, “Do you think animals have Aspergers?” He stopped and thought a moment before he answered, “Yes, some. Some animals our really smart, they outsmart their predators. They have to think in a different way to just survive. Those animals… yes they have Aspergers.” Wow how profound is that? Today while downloading some other pictures off my camera I came across the zoo pictures. I called Jay in to take a look at them. “Which of these animals do you think has Aspergers, and why?”, I asked him. Below is his response. I warn you ahead of time… be prepared to be amazed by the incredible insight my 10-year-old son has! I certainly was. I told you very profound! God I love my boy! That’s our boy, smart as all get out. That is one smart little boy! You’re right, those are the most profound observations! 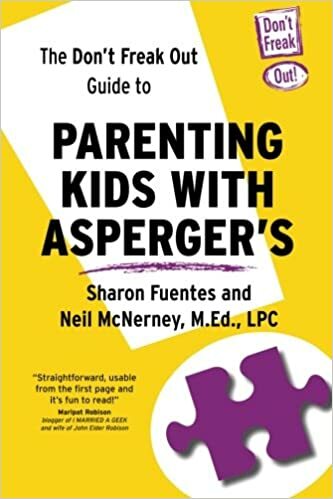 How insightful of him to be able to recognize characteristics and personalities and be able to relate those things to aspergers. Thanks so much for sharing this! I especially love the part about being really focused on your goals as being both the best and worst parts. Isn’t that true of so many things in life? What great insight! Thanks so much for linking up with The Lightning and the Lightning Bug!! Oh my goodness he is SO smart!!! What a good boy! 🙂 I absolutely loved this post. Great job! Reminded me of Temple Grandin’s work. If you haven’t heard of her, you HAVE to look her up. You probably have, but just in case. She is autistic and is famous for being able to understand animals for that very reason. Looks like your wonderful boy might have a touch of the same streak in him!